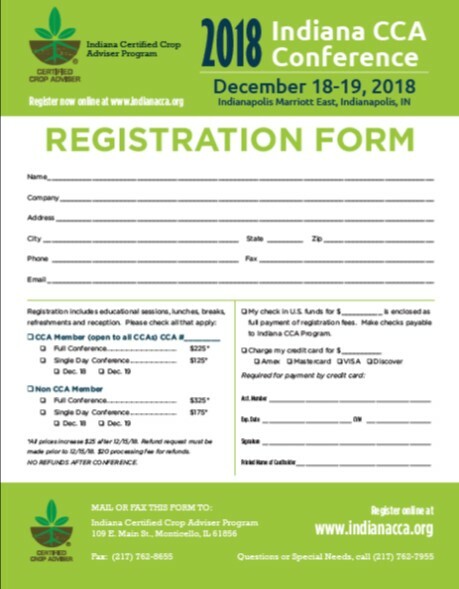 Registration for the 2018 Indiana CCA Conference Registration is now available! If a paper copy of the registration form is needed, please click on the picture below. Online registration can be completed by filling out the information below. Please enter the registrant information. You may add more than one registrant to an order. For each registrant we will need their contact information and conference items. The Badge Name field will be printed on your conference badge. Generally, this will be the same as your first name, but please indicate your preference here. First name to appear on your badge.